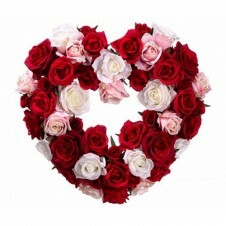 This is a beautiful 4 dosen mixed heart-shaped roses. 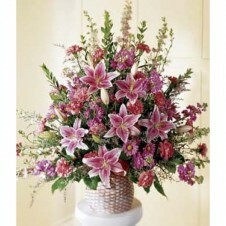 It's flowers in endearing red, pink and white - great for sweetheart or Mother's Day. 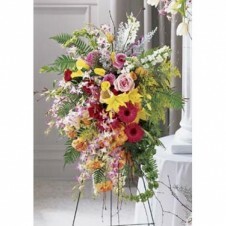 Please Note: Your purchase includes a complimentary personalized gift message. 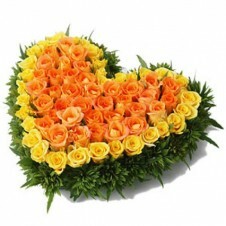 Exclusive designer heart shape arrangement of 60 Yellow and Orange (or pink)roses - Send this exclusive gift to your loved ones through us Please Note: Your purchase includes a complimentary personalized gift message. 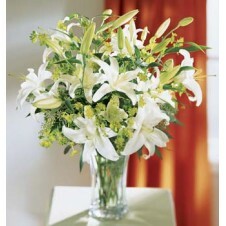 Large, all-white sympathy arrangement featuring lilies, gladiolus, chrysanthemums and more. 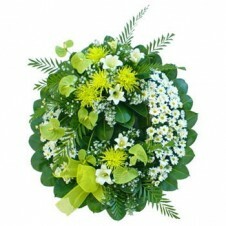 Bouquet is a colorful symbol of a life that will never be forgotten. 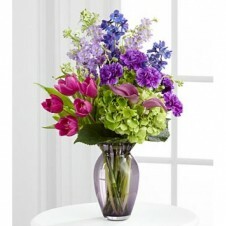 Purple tulips, blue delphinium, lavender mini calla lilies, purple carnations, lavender larkspur and green hydrangea an emotional tribute that conveys your deepest sympathies. 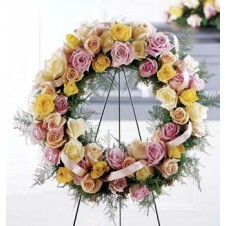 Colorful mixed roses wreath with stand. 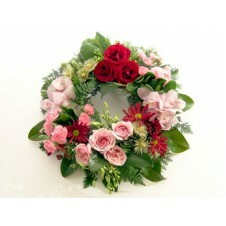 Small wreath of red, pink roses and colorful mums and greeneries. 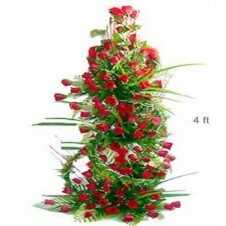 4 ft rose arrangement with greeneries. 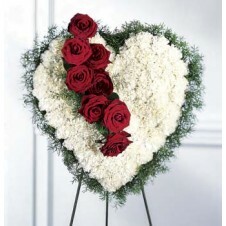 Available red, white or mix colored roses. 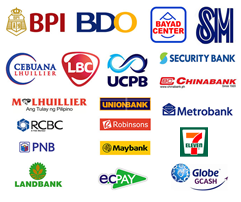 Shipping Delivery: Within Metro Manila Delivery only. 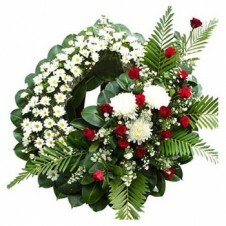 All white wreath contains white roses, lilies and mums. 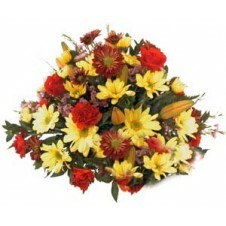 Bright rounded centerpiece arrangement in yellow and red tones, featuring roses, daisies, carnations and statice. 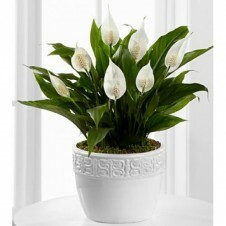 The Calming Grace Peace Lily Plant is an exceptional blooming plant that is a wonderful gift for a wide variety of occasions. 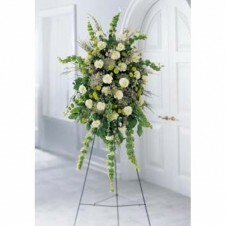 Known for its lush foliage and brilliant white flowers, this spathiphyllum plant is a hardy indoor plant that is both beautiful and generally easy to care for. 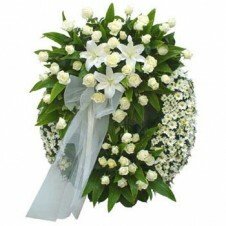 Presented in a designer white ceramic container, this blooming plant will brighten their day whether you are sending it as a thank you gift, a get well gift, to offer your congratulations or to extend your deepest sympathies. 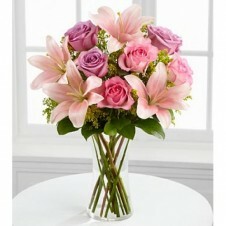 Please Note: Planter and ceramic vase design may vary. 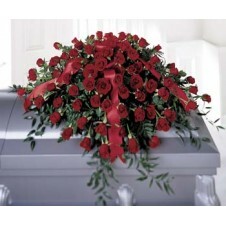 Provincial Delivery: Next day delivery. 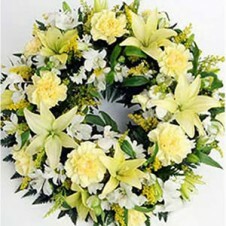 ouquet offers comfort and sympathy in the time of grief and loss. 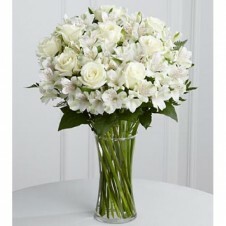 Bright white roses and Peruvian lilies are accented by lush greens and gorgeously arranged in a clear glass gathering vase to create a bouquet that will bring peace and show how much you care. Shipping Delivery: Next day delivery. 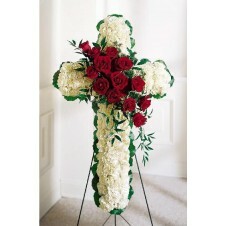 White cross with red roses and green leaves. 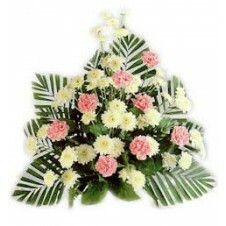 Stand Arrangement of colorful flowers and leaves. 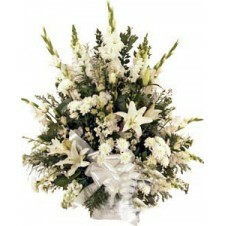 Shipping Delivery: Within Metro Manila Delivery only. 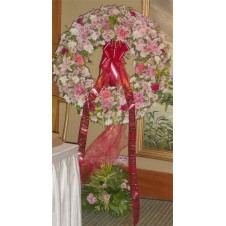 Basket arrangement of pink lilies, carnations, mums and more fillers. Please Note: basket design may vary. Shipping Delivery: Next day delivery. 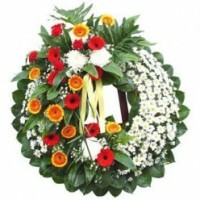 Excellent wreath of colorful flowers! 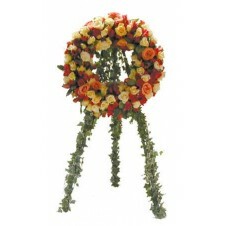 Sympathy stand arrangement. 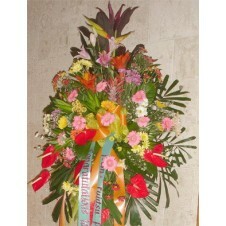 Shipping Delivery: Metro Manila Delivery only. 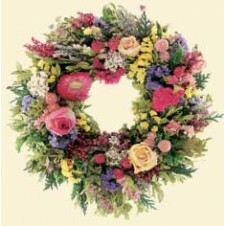 Wreath of star gazer lilies, carnations and seasonal flowers. 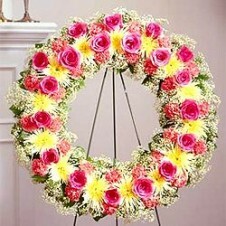 blushingly beautiful way to convey your deepest sympathies for their loss. 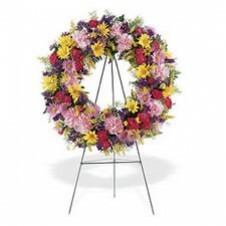 Pink and lavender roses are offset by pink Asiatic lilies, solidago and lush greens, To offer warmth and comfort to those facing the loss of their loved one. Shipping Delivery: Next day delivery. 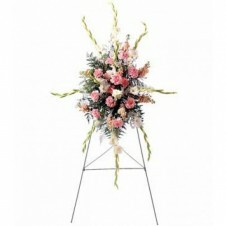 Stand arrangement of carnations, roses and gladiolus. 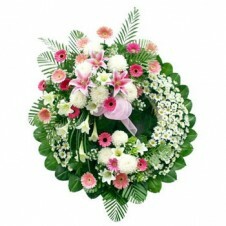 Shipping Delivery: Metro Manila Delivery only. 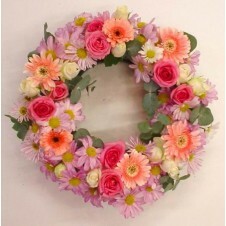 Pink star gazer and gerbera perfeclt match with white daisies wreath.